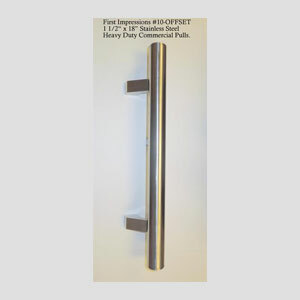 First Impressions International' sliding glass door pulls add beauty and strength to your existing sliding glass doors. 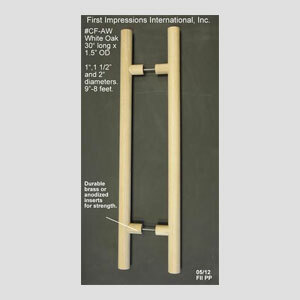 These pulls are available in standard 6 5/8" c/c brackets, or any center to center measurement you wish (to fit your existing holes), Two sizes are available (9" and 12" high), three bar designs, (rope, reed and smooth) and over 25 finishes to match the rest of your home or hardware. 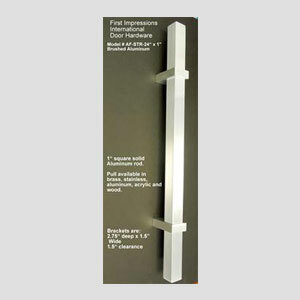 Custom lengths and custom diameter of bars are always available. 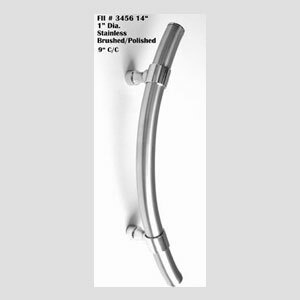 In addition, a number of finials (urns, balls, pineapples, acorns and rings) are available to be added to the top and bottom of these great looking pulls! These pulls really spice up a traditionally bland area of the home!!! 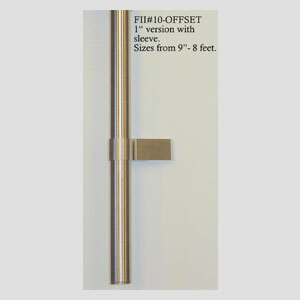 #10- 1" Offset with sleeve in brushed stainless steel Lengths from 12"-8 feet. 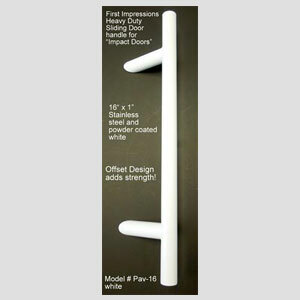 Stainless steel and powder coated white door handle.